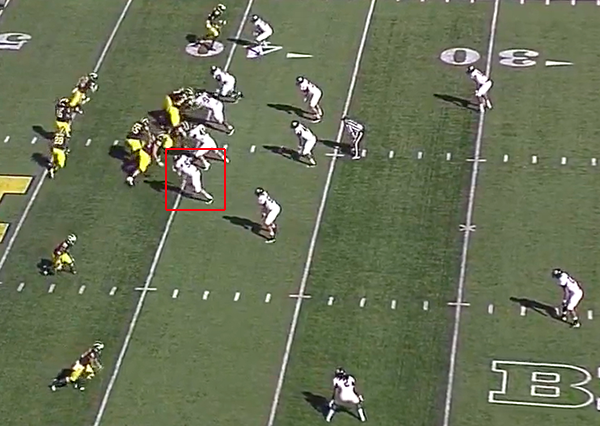 Do you really think this is a packaged play or simply a standard run play with fake bubble action on the other side? 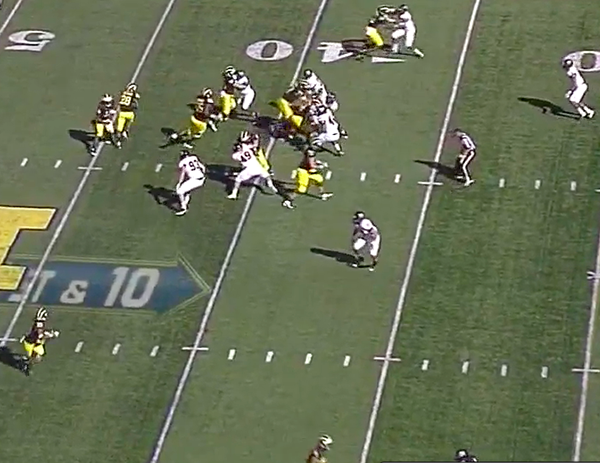 I think Borges just decided if he's going to bite the bullet and run the bubble, er, LAZER, he might as well use some of the counters that Rich Rod employed. 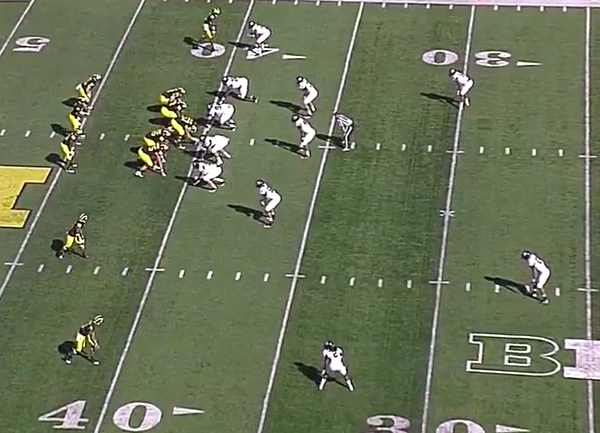 As an example, on Denard's long TD against Air Force, they faked the bubble and ran the QB draw. 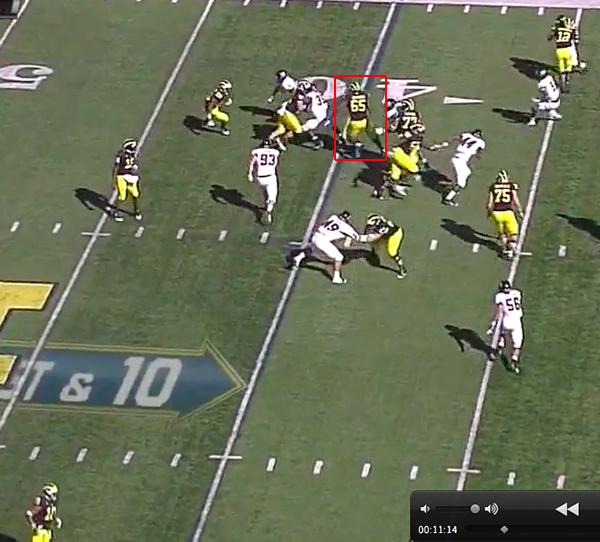 I don't think Denard taking off was a read, just a designed play to occupy part of the defense and move their eyes. 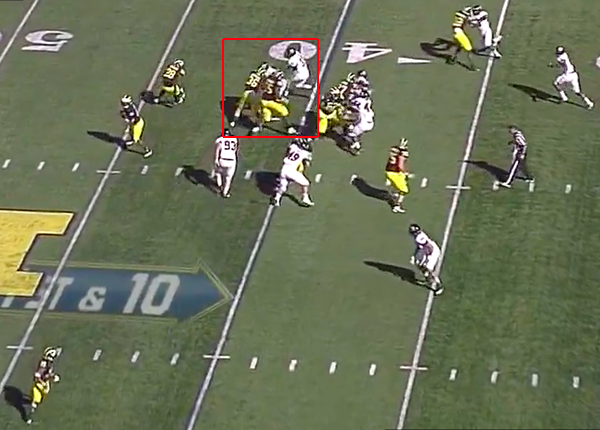 I'd like to see the Rich Rod classic of faking the bubble (with trips) and then hitting the inside slot guy who is usually running free if set up properly earlier in the game. After watching the ND game, I think it's abundantly clear Michigan isn't packaging plays. 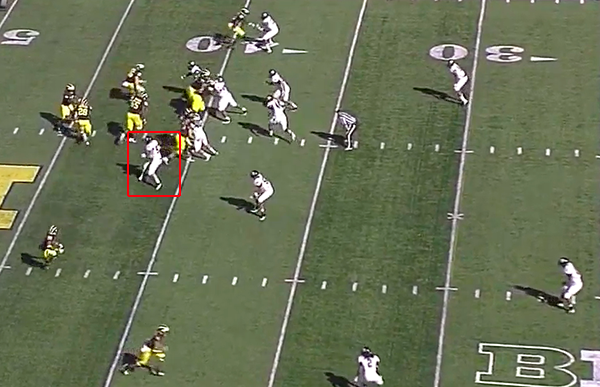 They are using the bubble as a decoy every now and again and that's about it. 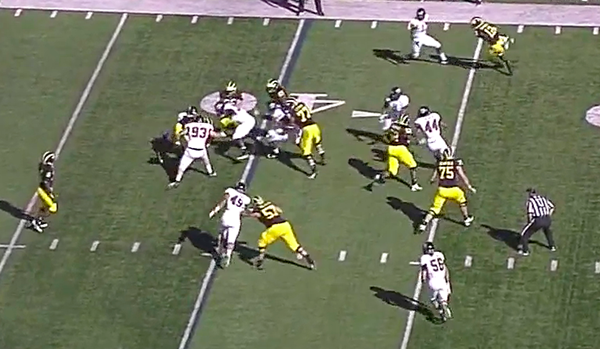 Michigan's offense is half-pregnant and incoherent.